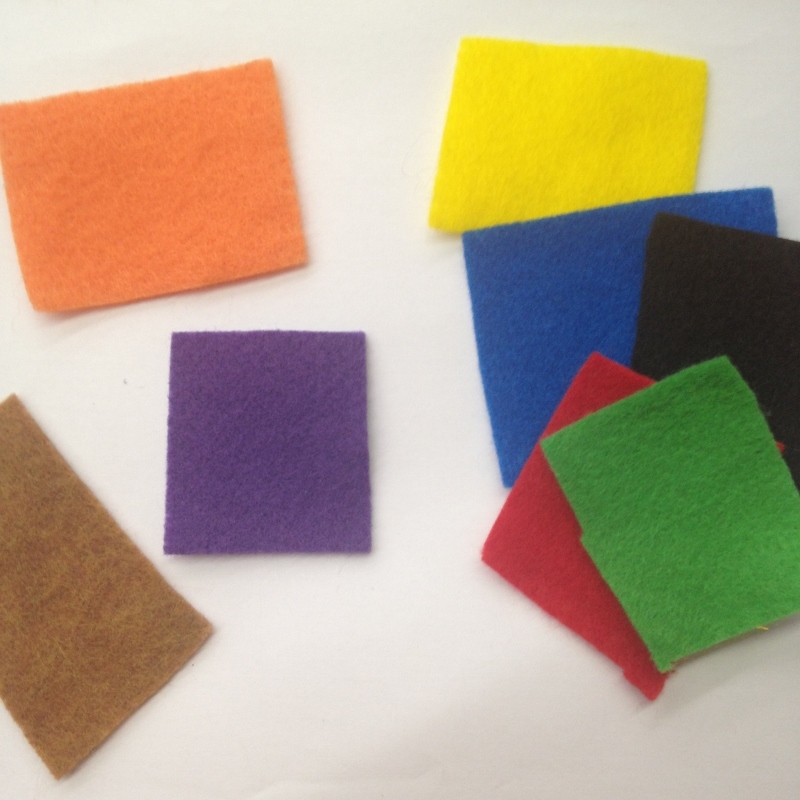 Example 1: When I read The Deep Blue Sea by Audrey Wood, I pass out squares of colored felt. While I read the book, they need to wait for me to read the name of their color before they can come up and put it on the felt board (impulse control, receptive language, following directions…). When preparing materials for Sensory Storytime, I also ask myself questions like “How can I incorporate visual supports? How can I involve sensory input?” Visual supports are key for children with language challenges because it helps them know what to expect and scaffolds their language learning. You can see a picture of my visual schedule at my other post. Sensory input can come in many forms: tactile, visual, auditory, vestibular, proprioceptive… (If you’re interested in learning more, I like The Out of Sync Child by Carol Stock Kranowitz). Some kids are sensory seekers, some are sensory avoiders, and some are both, so you’ll see a range of responses to your sensory toys. 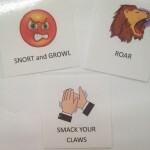 Example 1: When I read If You’re a Monster and You Know It by Rebecca and Ed Emberley, I put up a visual for each movement I want the kids to do. A typical child will know to watch me and try to copy my movement. For my Sensory Storytime kids, a visual can help remind them of what the movement is going to be so they can focus more attention on the motor planning aspect of actually doing the movement. 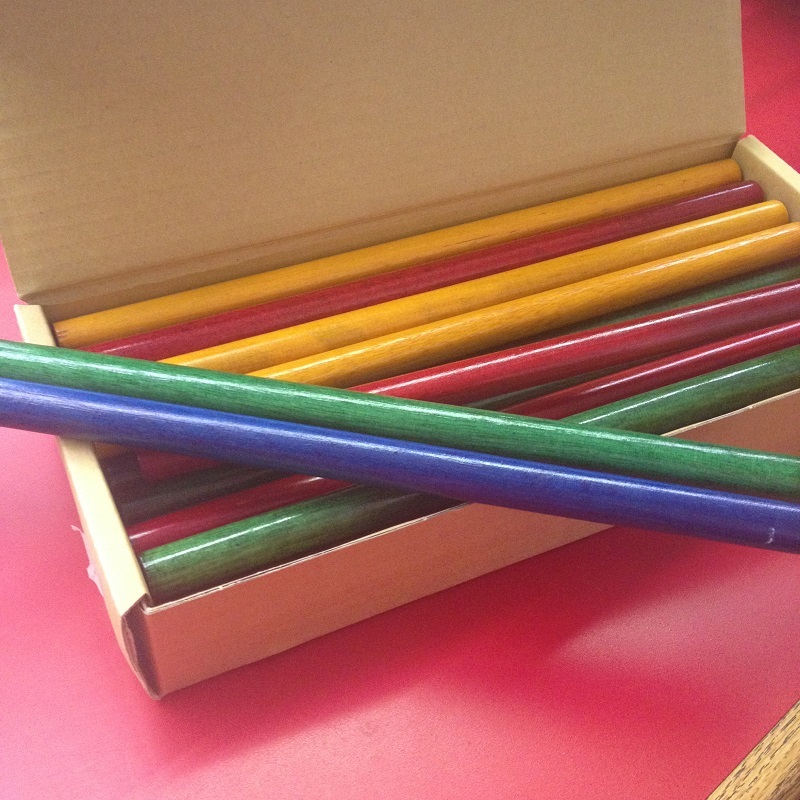 Example 2: When we read Tanka Tanka Skunk by Steve Webb, I hand out rhythm sticks. The kids clap their sticks together to match the rhythm of the book, as well as the tone (quiet when the animals are sleeping, loud when they wake up). The sticks give excellent sensory input (both auditory and proprioceptive). As I mentioned above, each child has a different sensory profile, so I noticed one little boy marching and beating the sticks really hard (and enjoying himself very much!) while another child seemed a bit nervous about the sound the sticks were going to make. 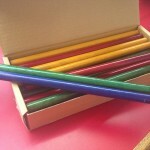 Even the motor planning of holding the two sticks and clicking them together can be great practice for many children. I’m sure this goes without saying, but go into the storytime room with way more books and activities then you’ll have time to do. Since my storytime is drop-in, I never know who I’m going to get, and I often need to switch my activities to cater to the ages and abilities in the room. 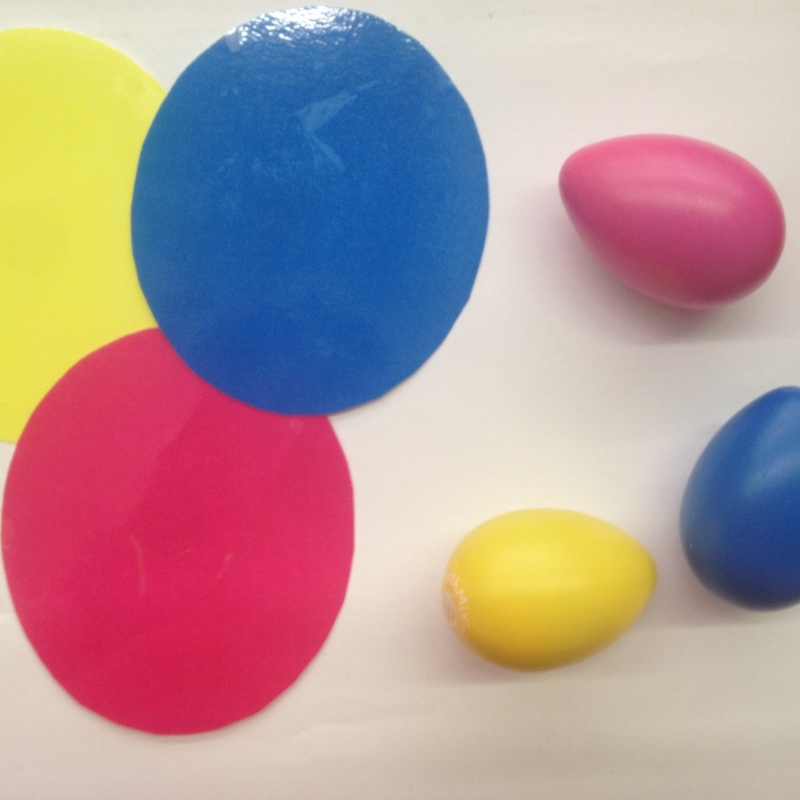 The example above about matching the egg to the color on the board, for instance, may work well for kindergartners and up, but if I get a room full of young preschoolers and their toddler siblings, I won’t do it. By being friendly and engaging, you can help create a trusting environment where parents can share more about their children. 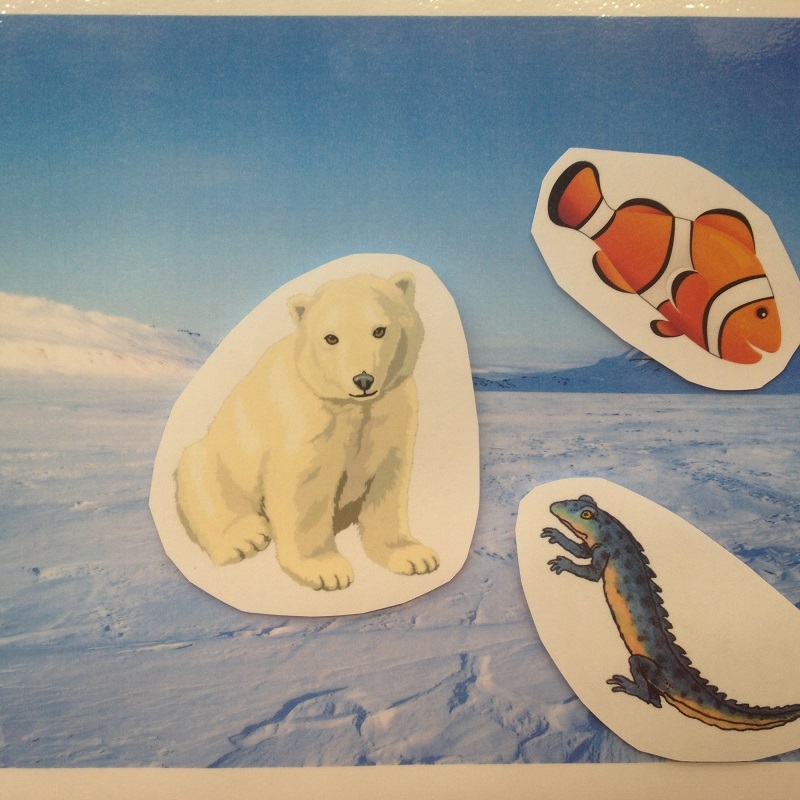 One mom shared with me that her son prefers nonfiction books, so I created visuals to go along with Who Lives Here? by Nicola Davies. And again, since my program is a drop-in, I had this book and these visuals with me and ready to go every month in case this family came to storytime. iPads can be very motivating to all children, including those with special needs. One of my favorite apps I’ve used with this group is Cookie Doodle by Shoe the Goose. I have the children take turns coming up to interact with the app, which is based on making cookie dough, then baking, decorating, and eating cookies. Before the child gets to touch the iPad, I ask a simple question like, “What color icing will you use?” or “What shape cookie do you want?” The promise of using the iPad can be a strong motivator for kids to have a short social interaction with me! Are you offering a Sensory Storytime or other program for children or teens with special needs? What top tips would you offer to someone getting started? Our guest blogger today is Ashley Waring. Ashley is Children’s Librarian at the Reading Public Library in Reading, MA. ; she can be reached at waring@noblenet.org. Hooray to Simon & Schuster for dropping the “Buy It Now” requirement on their ebooks!